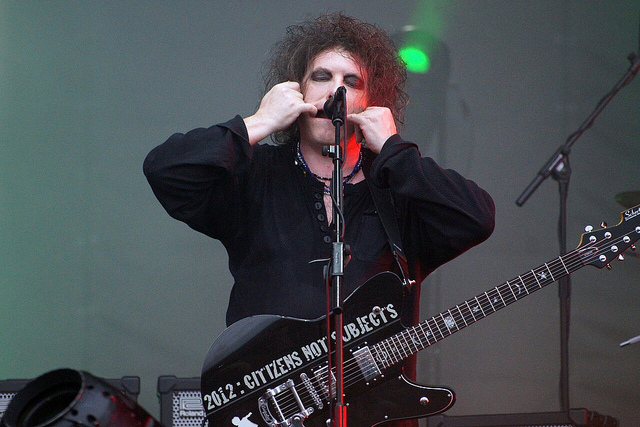 Appearing on South Africa’s The John Maytham Show on March 19, 2019, Robert Smith said that his band, The Cure have finished recording their first new album in 10 years. Despite the iconic new wave/goth rock band performing for 40 years together, their last album was “4:13 Dream” released in 2008. Smith and his band the Cure are currently for the first time touring in South Africa. He told the talk show that his group is doing the album for the right reasons, and the music on the new album has not changed from the classic sound fans know and love. Smith also reported there is not a release date for the album, and it does not have a title. The lead singer first mentioned the album when he was interviewed in 2018 about his Rock and Roll Hall of Fame inductions. He also said in Dec. 2018 on the “Debatable” how on Sirius/XM that the Cure was about to go into the studio in about six weeks to finish their first album in more than a decade. It was recently announced that Smith and the Cure would be headlining with The Killers at the Glastonbury 2019 Festival. There was some controversy already about this festival when Janet Jackson who will also be appearing edited the poster for the event to place her name as the headlining act.